ST. PETERSBURG, Florida -- Minor League Baseball™ (MiLB™) and the Women in Baseball Leadership Event Committee today announced the creation of the Women in Baseball LIFT (Leaders Inspiring Future Talent) Mentorship Program. Its mission is to build continuous lines of communication and support for female professionals in Minor League Baseball, develop the next generation of women executives and continue to retain quality professionals in the industry. The LIFT Mentorship Program was developed by the Women in Baseball Leadership Event Committee, which hosts events each year, including the Women in Baseball Leadership Event at the Baseball Winter Meetings and Coffee & Connections at the MiLB Promotional Seminar. These events bring female professionals together from Minor League Baseball and Major League Baseball and allow women who have chosen careers in professional baseball to interact with and obtain guidance from each other to develop careers, enhance professional skills and build networks. 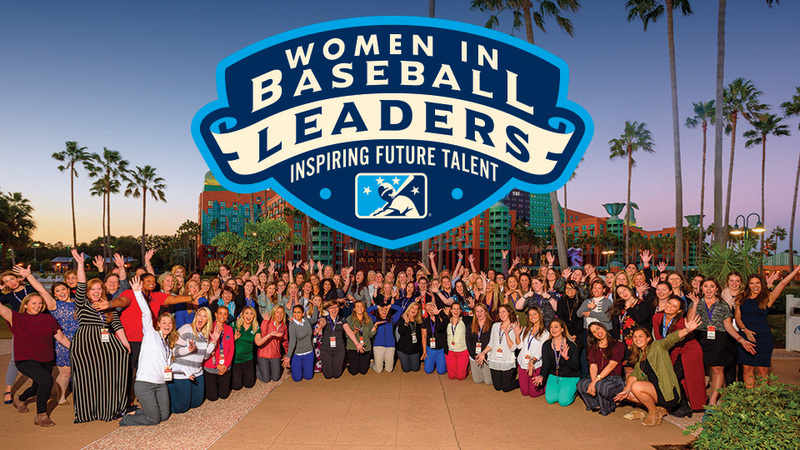 "Each year at the Baseball Winter Meetings, the Women in Baseball Leadership Event brings together women executives in our industry to share ideas and discuss relevant issues, but that event only happens once a year," said Minor League Baseball's Assistant Director of Corporate Communications and head of the Women in Baseball Leadership Event committee, Mary Marandi. "The LIFT Program will be an exciting extension of the annual event where mentors and mentees can find support and build relationships with each other all year long, and hopefully, for the duration of their careers." The LIFT Program will empower women to encourage each other through mentor relationships. Individuals working in the MiLB industry for fewer than four years (mentees known as LIFTees) will be paired with other females working in the industry for more than four years (mentors known as LIFTers) with whom their application matches. The pair will then be given the opportunity to establish a mentor-mentee relationship with their match to help each other seek career advancement, create positive networking connections and increase self-confidence in the work environment. The application process for the inaugural class will go live on Sept. 10, 2018. To apply, visit MiLB.net. The pairing process will be completed the first week of November, and applicants will be notified at that time. For more information, email WiBLE@MiLB.com.